Jürgen Klopp has explained the thinking behind his tactical approach to Liverpool's 3-0 victory over Southampton, which set a new club record. 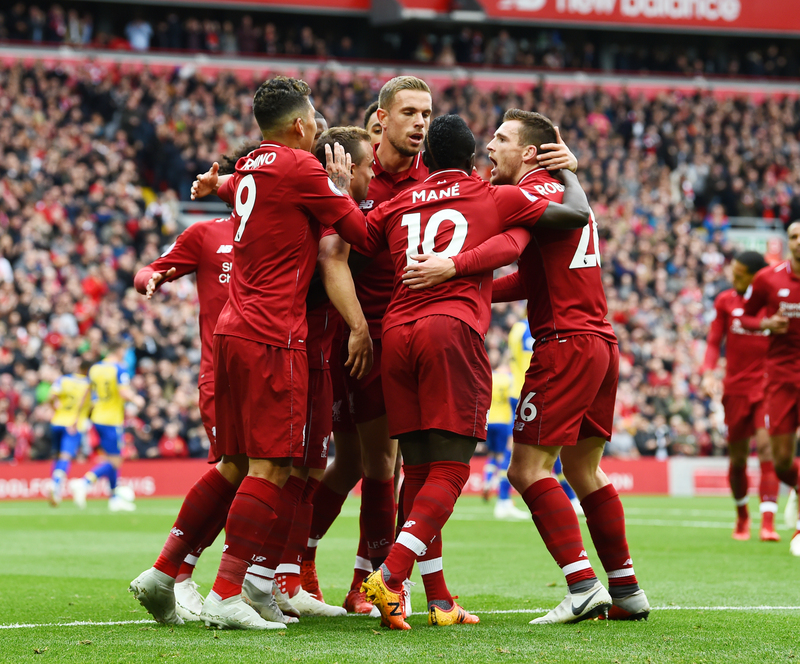 Never before have the Reds won each of their opening seven fixtures in a season – a feat they achieved on Saturday as an own goal by Wesley Hoedt was added to by Joel Matip and Mohamed Salah. 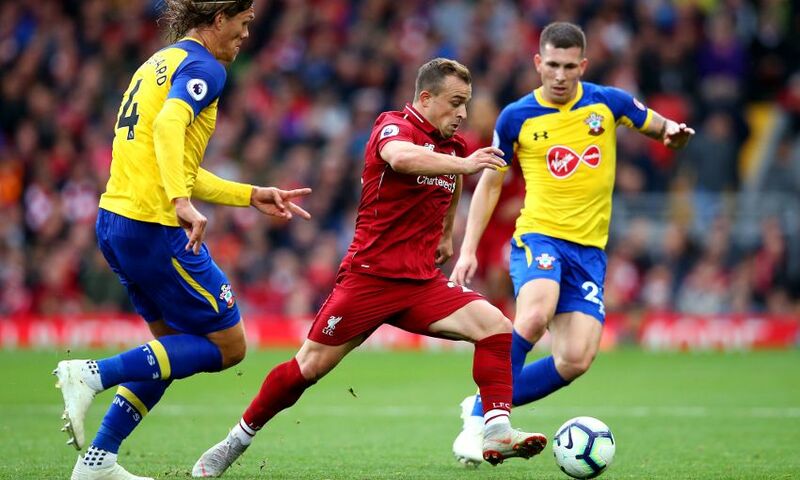 Klopp had altered his attacking personnel and system at the outset of the Premier League clash but changed it at half-time, when James Milner replaced Xherdan Shaqiri. After the game, the manager opened up on those decisions and reflected on a display that further extended Liverpool’s outstanding start to 2018-19. It was good but you saw it needed to be because Southampton were not bad, they played good football. I had an idea and it didn’t work out 100 per cent. We changed system obviously to bring Shaq in a comfortable position. We wanted to make it a bit more difficult for Southampton to be really prepared for what we do. We knew the two tall boys in the centre would play so we thought to bring Mo there. Offensively, it was really good; defensively, we obviously weren’t used to it. We had the session yesterday and it was very strange – we couldn’t really go out because the real bad weather was over the city at our training time. We had around about 30 minutes with set-pieces included, which is very important because Southampton are really good with set-pieces. That we did that obviously helped because all three goals were around set-pieces. On the other hand, that’s why I made the change. I said to Shaq at half-time that I had never brought a player off after such an influential time without an injury. He is not injured. But I wanted to control the game and go back to our normal formation. And that helped, we really controlled it. But still Southampton had their moments, they didn’t have big chances but they had their moments. We wanted to avoid that they could come through one or two times too often. We wanted to score of course; we were a bit unlucky in one or the other situations. It was probably offside with Mo. The first half with Mo was a bit unlucky with a nice situation, a good ball from Joel Matip. All round it was a good performance, very controlled in the second half and that’s how it should be. It was not easy, to be honest. It’s my job to sometimes deliver news nobody wants to hear. That’s how it was at half-time but he is a fantastic boy. I explained it to him so it’s no problem. Usually I don’t explain substitutions at half-time but I thought it made sense. It’s just good to have him; the free-kick was outstanding. That’s good. The whole team was not used to what we did today. As a new player, usually you struggle most but he didn’t – he tried everything. The only problem was defensively. Offensively, it was a good idea but, how I said, we have to work on that more often. But he was good and I liked it. That’s true but we would have done the same with 2-0, to be honest. That was the plan. We saw that we had a few problems. In the week you could see Gini Wijnaldum, good game but really hard now; Hendo’s second game in a row; Millie came on and I don’t think if you ask him that it felt like spring or something. It was hard work for him as well. Making six or seven changes today was never an option, we had to go through that game. That’s why I said it is the most important game. A few weeks ago you all told me there were very tough weeks and nobody thought about Southampton – that made the game a real challenge, apart from the quality of Southampton anyway. So, it’s a good sign that the team gave today again, scoring three, making set-pieces a proper threat is cool because they always help and defensively it was just good. All three centre-halves played fantastically, both full-backs played really well. All the others had to work really hard. I think it was another deserved three points. Yes. I lost one time in my life seven games in a row and that felt different, to be honest. But then we won game No.8 5-0, which was very cool! Yes, it’s a surprise because of course you cannot expect it, but all performances we showed so far were at least good enough to win the games. All the different challenges with the different styles of the opponent, the boys were there. They were really in the situation and in the different games, so that’s good. But now the next one is coming on Wednesday and then coming again on Saturday and then again on the Wednesday. That’s now a really short week we have and then the period ends with a nice game against Man City! It will be tough, but for all of us, so that’s absolutely OK. It is better to win these games than draw them or lose them, but I am really sure we are mature enough to understand it in the right way.